Insurance coverage is an important aspect when choosing options for medical treatment and healing. Naturopathic Doctors in the State of NH are now able to directly bill insurance companies and be considered as an in-network provider. Cura' Naturale Therapeutic Healing has chosen to not bill insurance at this time. However, our staff is more than willing to provide each patient with the necessary codes to get reimbursed directly. What this means is the patient would pay the cost of the visit or treatment at the time of the visit and than would send in their superbill with all necessary codes to their respective insurance companies to get reimbursed for the services rendered at the clinic. The patient will just need to communicate with the staff that they want to send in their superbill for insurance evaluation. If a patient is interested in determining whether a specific plan covers alternative medicine, please call the number on the back of the card and speak to a customer care representative. As advised above, our staff will be more than happy to supply the correct coding needed to submit a claim to the patient's health insurance company. These include procedural and diagnosis codes required for claim submission. Flex Spending Accounts and Health Savings Accounts are prominent at this time and will generally cover most preventative care costs and supplements. However, the patient should contact his/her Human Resource Department or the number on the back of the insurance card to verify exactly what is acceptable to charge. Cura' Naturale wants all patient's to be successful in being covered with their insurance. 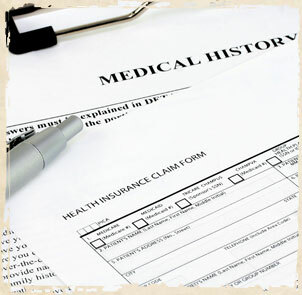 We are more than happy to write a medical necessity letter to your insurance provider when and if indicated. Your health and wellness is important to us for your success!